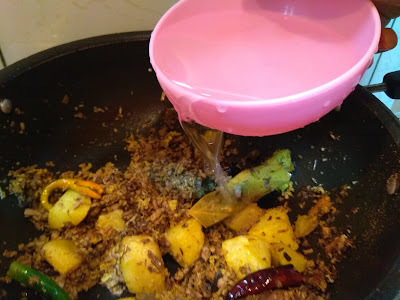 Hi folks ,I am back with a very traditional recipe from West Bengal.This time it is the Mochar ghonto,or the banana flower preparation.The preparation calls for a little hard work ,as the cleaning of the banana flower takes some time and patience .but the result is rewarding .The banana flower has a good texture which becomes more pronounced with the crunch of the coconut added to it. 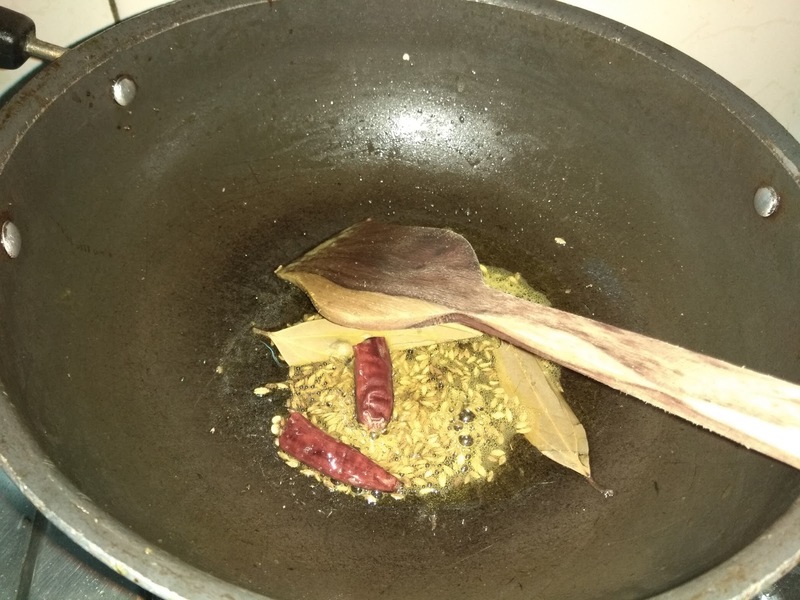 Moreover the banana flower is an iron rich vegetable with a very high fibre content. 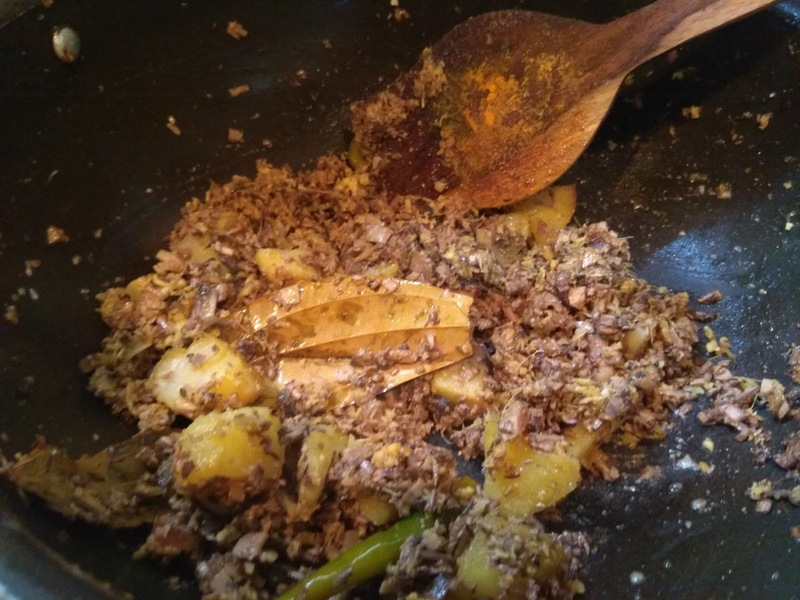 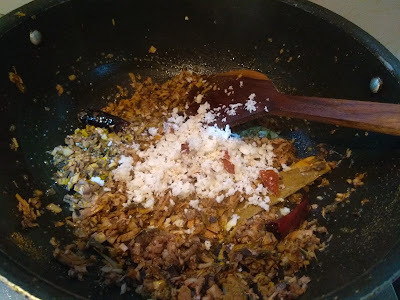 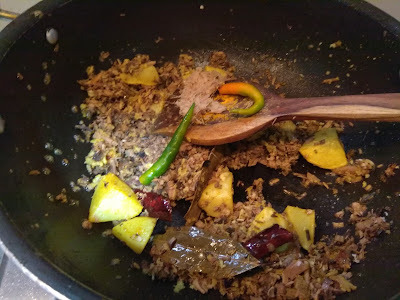 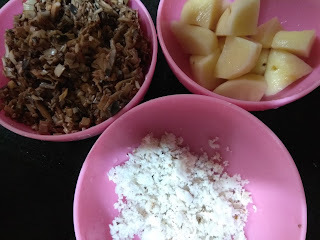 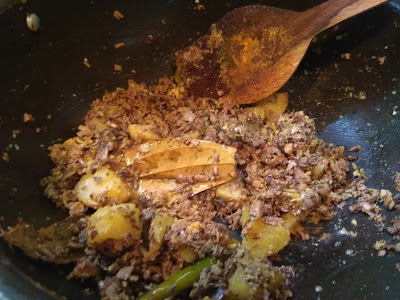 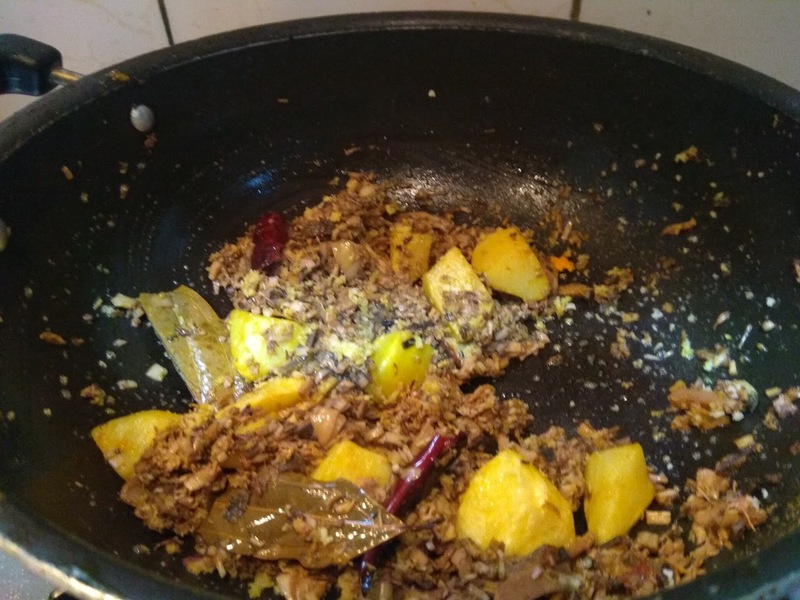 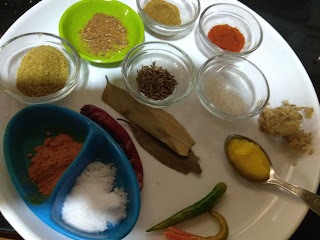 In this blog have not shown the cleaning process of the banana flower.I have used the cleaned cut and then cooked banana flower. 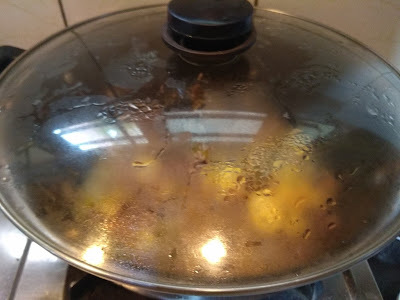 11-Open the lid ,if the water has dried up ,fine ,if not ,put on high heat and dry up the water.This preparation is of a semi dry consistency.Check if the potatoes are cooked completely. 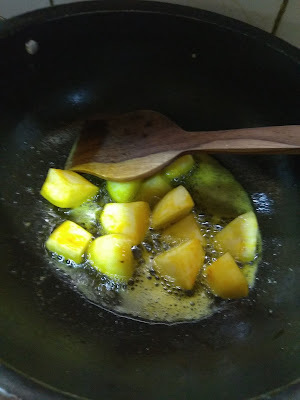 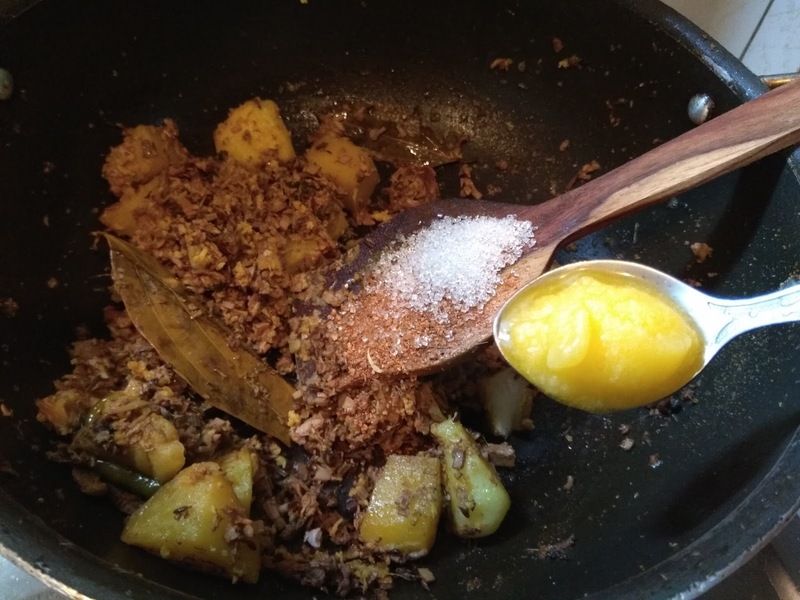 12- Add sugar garam masala powder and ghee and cook for another 2 minutes ,before switching off the flame. 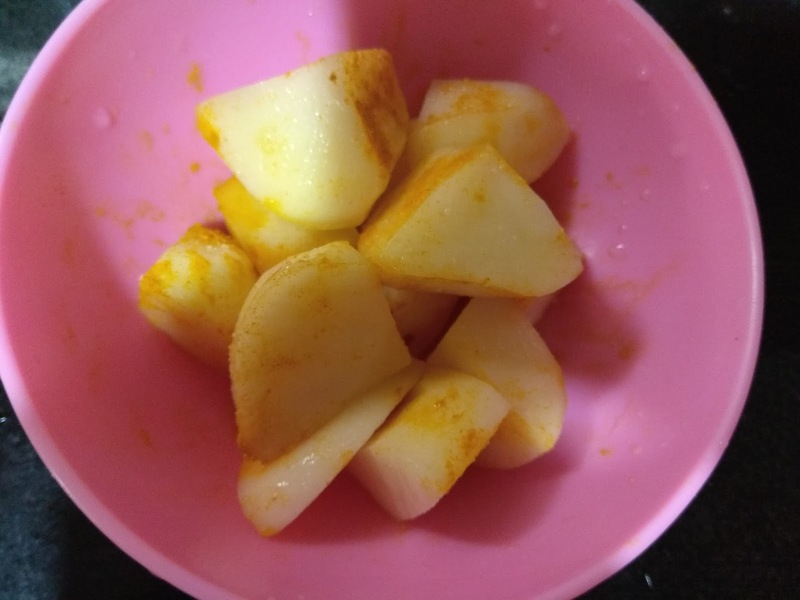 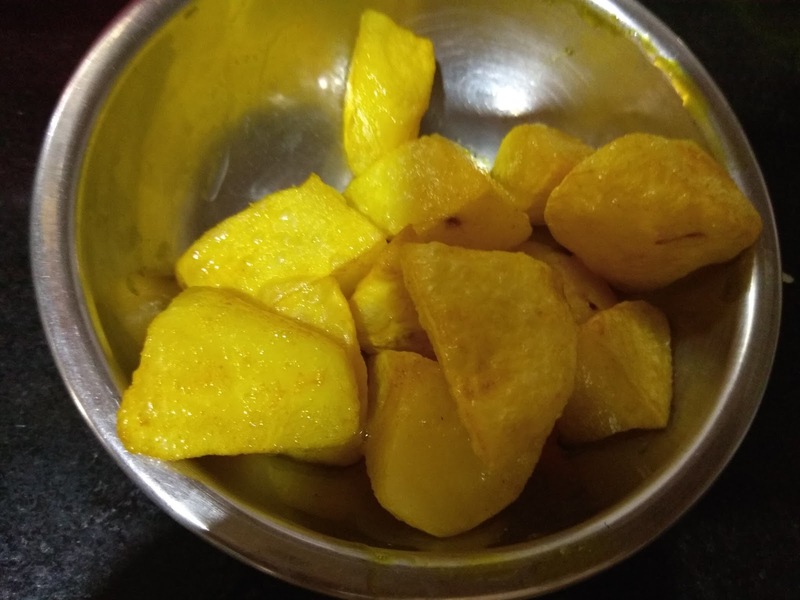 Open the lid ,if the water has dried up ,fine ,if not ,put on high heat and dry up the water.This preparation is of a semi dry consistency.Check if the potatoes are cooked completely. 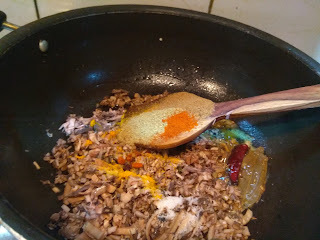 Add sugar garam masala powder and ghee and cook for another 2 minutes ,before switching off the flame.